Lizzie's Tearooms are situated on the first floor of a historic building in the pretty market town of Ashby-De-La-Zouch. The heavy beams and uneven floors add to the relaxing ambience of our traditional Tearooms. We serve a selection of teas, coffees, soft drinks and freshly made light lunches. We offer a variety of delicious cakes and specialise in wheat, gluten and dairy free cakes. 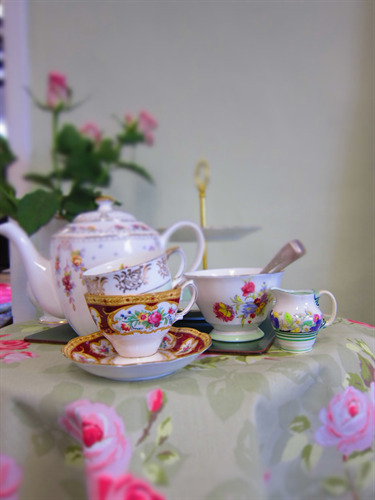 We use vintage china and beautiful teapots in the Tearooms and sell many vintage items from the past.